In the mail yesterday was a package graced with these handsome Swedish stamps in classic one-color engraving. 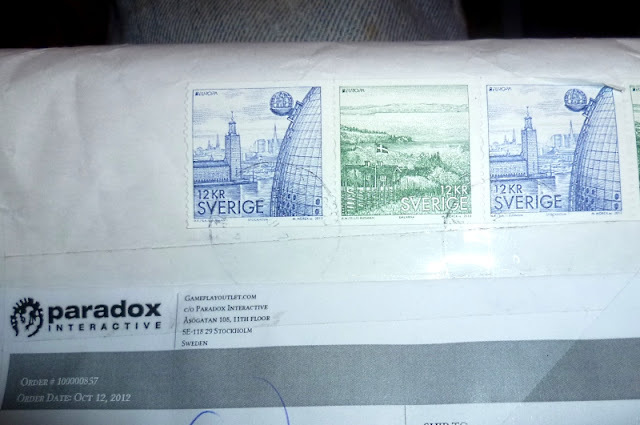 Inside, direct from Oslo-based developer Paradox Interactive, was an old-school CD copy of "Crusader Kings II." 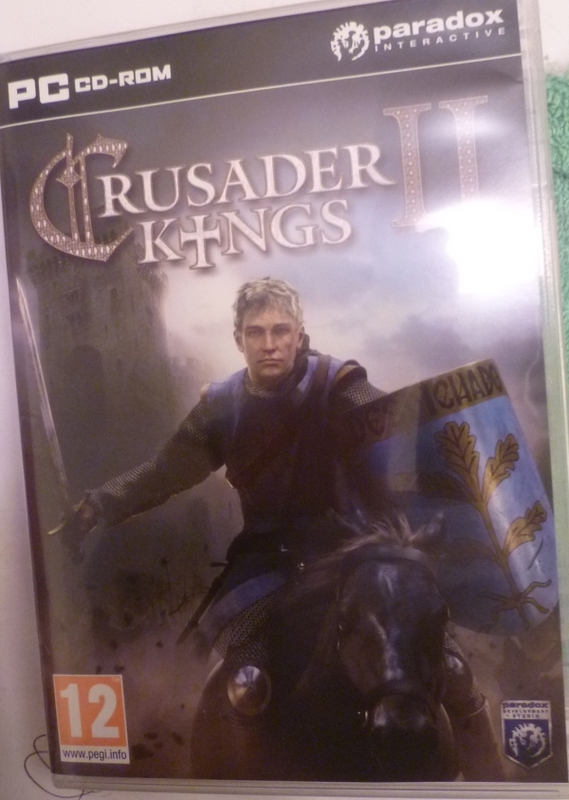 This highly-developed mediaeval strategic game with an enhanced classic system made by Paradox offers a thrilling and absorbing experience of the uncompromising politics - or more precisely - of the European mediaeval life of nobility in the 11th to the 15th century. It doesn't matter if you build great dynasty of yours or not - there are always goals you want to fight for. Crusader Kings II lets you to recreate the history - don't miss this unique opportunity. vast, churning sea of information [which] is Crusader Kings II's greatest strength, but it also the reason the game is as niche as niche gets. You need to bring patience, discipline, and probably a notebook to even scratch its surface, but Crusader Kings II is massively rewarding in its own unique way if you're willing to put in the time and effort it demands. there's something mildly sadistic about Crusader Kings II's complexity and reach. So, yeah, you might not hear much from me for a while. I'm pretending to be a Duke in 11th Century Iceland right now.